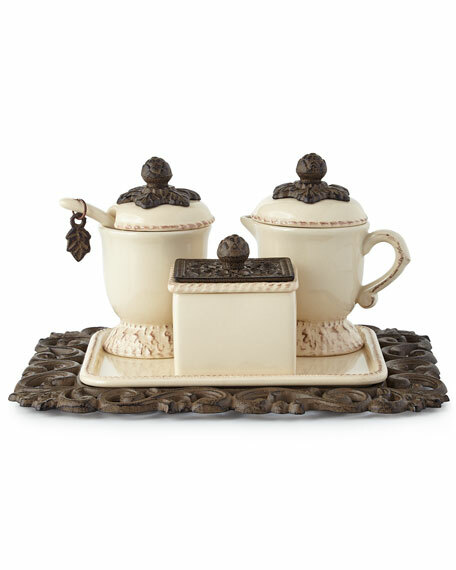 Ceramic and metal creamer and sugar set. Set includes creamer, sugar bowl with spoon, sweetener-packet holder, and tray. Ceramic pieces are dishwasher safe.